As we've stated before, we feel Berkshire Township has historic and rural roots, with an eye to a well-planned and responsibly developed future. In an effort to preserve both, the Zoning Board has recommended initiating a review and update of the Berkshire Township Comprehensive Plan. The plan has not been updated since 2008, and many of the developments occurring in the township now were not even on the horizon in '08. 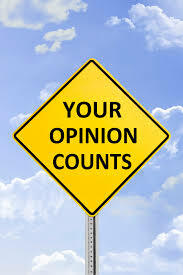 There are few things more important than your input regarding this issue. We urge you to attend the meetings which will occur to offer your views, and become educated on where we are as a community and where we hope to head. The meeting dates will be published in the monthly newsletter, on the BerkshireTwp.org website and will always be posted on the board outside the Township Hall at 1454 Rome Corners Rd. The first meeting is scheduled for Thursday, February 9th at 7:00 p.m.
Thursday, February 9 7:00 p.m.
We are initiating a survey regarding the plan to create a park. The survey will be emailed to you asking for YOUR opinions on this concept. Please watch for it in your inbox. Understanding what you would like to see is crucial as we take the next steps. When you receive the email survey, PLEASE take a few moments to respond. We'll keep it short, sweet and confidential; be assured that any information you share will only be used to help us understand what we should pursue. THE NEXT PARK MEETING IS THURSDAY FEBRUARY 16th at 7 p.m. The next meeting to discuss planning for the park will be held Thursday, February 16th at 7:00 p.m. We're excited to see new faces at each meeting as we move forward with the planning and creation of a township park. UPDATE ON I-71 PROPOSED SOUTHERN EXIT You may have read an article in the Delaware Gazette recently with a headline stating "Work on I-71 interchange to begin" about the proposed new exit on I-71. Updates by ODOT were presented to the County Commissioners on January 30th. It was stated that the entire project is a $162.6 million dollar project, with the first phase estimated at $50+ million. The article also stated that "environmental studies are to start this spring with construction of a partial interchange starting in 2018." This has raised some questions from residents. It is the understanding of Berkshire Township officials that the stakeholders must show the availability of all the first phase money before any bidding can even occur. With a five million dollar commitment from TRAC to fund EPA studies and to procure right-of-ways, it is not known at this time if the rest of the funding has been secured or not. I closed last month's column asking if you knew when our township was founded, and by whom? The first part was kind of a "gimme" since that answer is in the header of each and every newsletter. 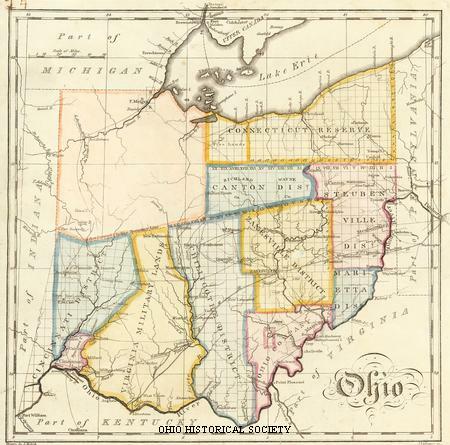 Berkshire Township was founded in 1806, just three years after Ohio became a state . The pioneer who founded Berkshire was was Col. Moses Byxbe, from Lenox, Massachusetts. Already "a man of wealth and standing in his hometown," Byxbe obtained a large number of soldiers land warrants in what would become Berkshire and part of Berlin Townships. He and his family and a small entourage, including surveyor Azariah Root, headed west in 1804 to settle his new lands. The settlement of Worthington was already established, though in poor condition at the time. Byxbe built a home there, but in late 1804 began making plans to head toward Berkshire to build a settlement there, "choosing a building site on the banks of the Little Walnut, in the prairie, and built cabins for his home, and stables. He also built a home for Mr. Root about a half mile south of where the "Corners" now are, on the Berkshire Road." And so it began. Next month we'll look at the movement of more white settlers into our township. * the reference material used and quoted in writing these articles is a book called History of Delaware County and Ohio, published by O.L. Baskin & Co., Historical Publishers in 1880. How did Berkshire get its' name? Why aren't we Byxbe Township? The township trustees are considering a recognition program for residents of Berkshire Township who have done restoration work on historic township structures, such as historic barns, silos, ancestral homes, etc. If you have done work on structures in the township that are more than 100 years old, please contact Assistant Administrator Shawna Burkham at Berkshire.shawna@gmail.com and tell us of your projects. 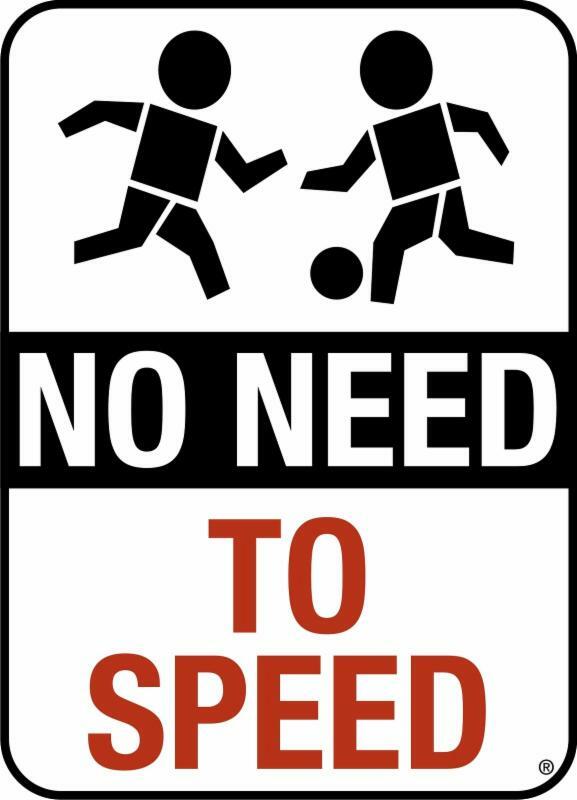 Several of our neighborhoods are having issues with drivers speeding through their streets, most of which have a 25 mph speed limit. The township has notified the Delaware County Sheriff's office as well as developers who have contractors working in these neighborhoods. Both have indicated they will be actively investigating this issue. We remind everyone to obey the speed limits to protect the safety of all residents, especially children on our streets and in our communities.